*articles may contain affiliate links* This post, Summer Bridge Activities, is one such post. Thanks to Parenting Healthy for this information and giveaway of activities for the summer. Take it away! This is the time of year to get your summer learning plan together. Ughh…summer learning! Don’t they deserve a break? That was always my thought before my son was school age. They do get a break because keeping that summer bridge learning does not involve dropping them off at 9am to a school for 6.5 hours 5 days a week. I have my son do 1 hour of learning activities in the mornings-after some cartoons but before the appropriate time to knock on neighbor friends doors to play for the day. In the evening we do a fun learning page in workbooks or I have him write about his day in 3-5 sentences and we do that together as part of our bedtime routine. That time means the world to keeping his brain working at his grade level and keeps his retention strong. The Carson-Dellosa learning activities for summer have everything you need to put a regimen together in you home whether you have a preschooler or one heading to High School. If your child is older, Carson-Dellosa has learning aids for the High Schoolers as well. It’s all there and you can search for learning books by age, need/subject or themes. This post is all about Summer Bridge Activities for that gap between grade changes. My son is heading into third grade so I have grade 2/3 activities books for him. It has some refreshers from second grade learning and prepares him for 3rd grade skills. They also include a summer reading list with suggested titles for books at this grade level. Reading is a great daily activity and I highly recommend at the very least you have them read 20+ minutes a day so they do not fall behind as statistics show they will-up to 2 months behind. However, adding the ongoing practice of comprehension activities and math and science, they can feel as confident as ever when that new year begins and learning continues. Right now you can save up to 25% on these learning tools so visit the links now! 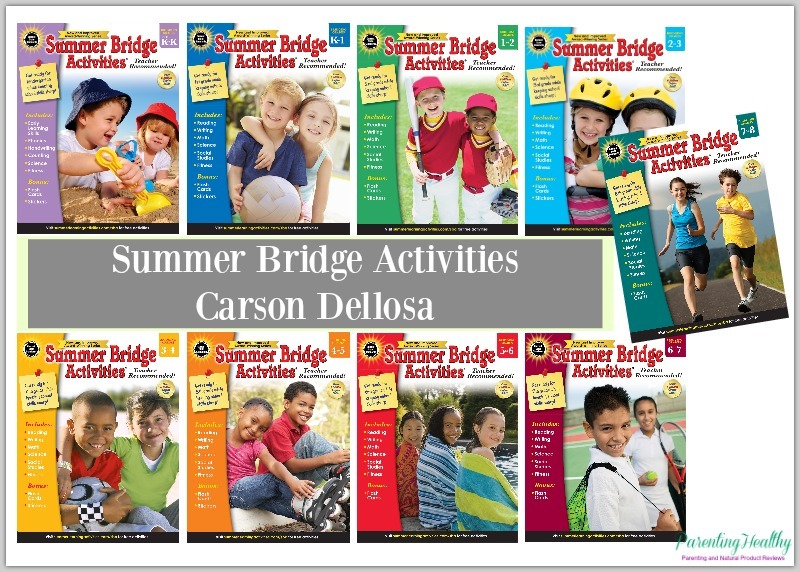 1 lucky reader will win one Summer Bridge Activity learning set from Carson Dellosa. 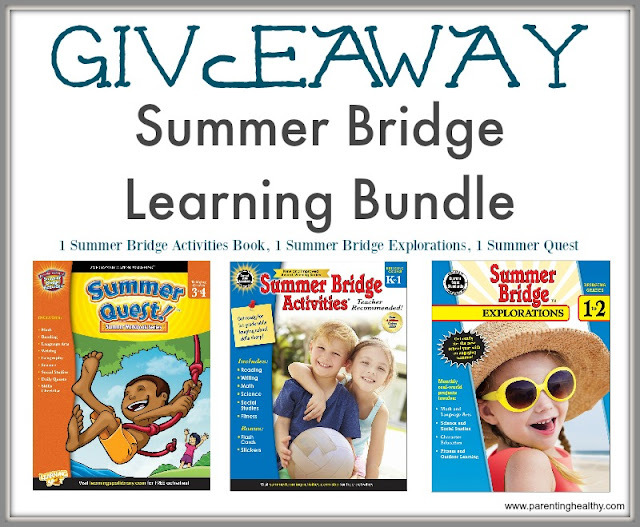 It includes the grade level of your choice in the following 3 books: Summer Bridge Activities, Summer Bride Explorations and Summer Quest Workbook. If the winner has children in higher grades, we can accommodate. Enter below. Ends on May and open to US. Good luck! This entry was posted in Giveaways, School and tagged summer learning. Bookmark the permalink.